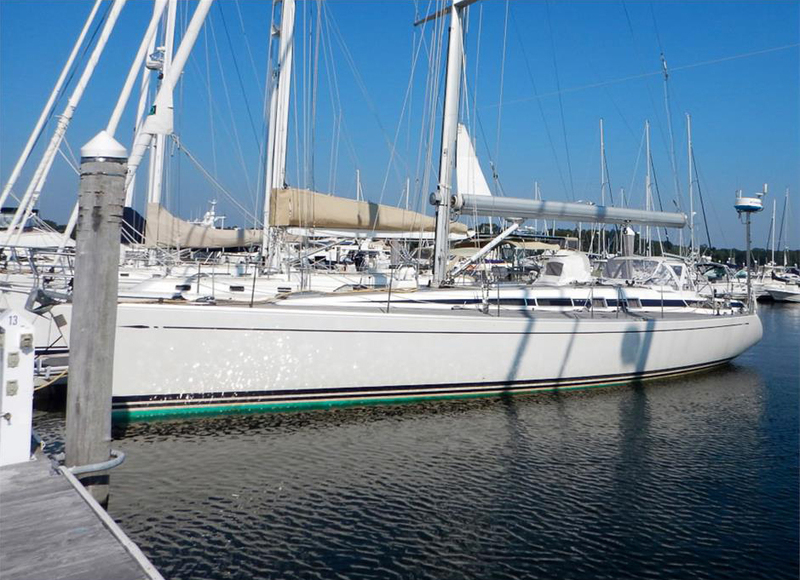 With constant upgrades and only used seasonally, she is in sail away condition. Currently in donation, favorable lease terms are available. Sleeps a total of 6, 2 in each of the 2 sleeping cabins plus 2 more in the main saloon. Varnished and hand rubbed Burmese teak interior wood work except where noted. Teak and holly cabin sole. Digital air conditioning control. 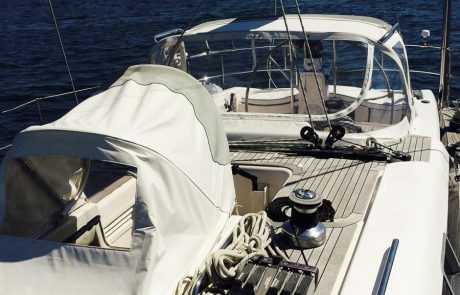 FORWARD CABIN: V­berth with filler to make a double. 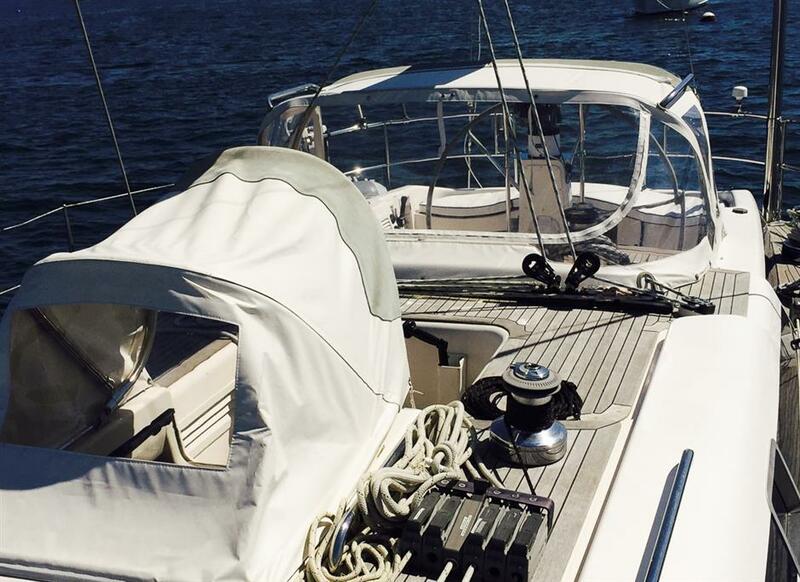 Seat aft to starboard lockers above the bunks port and starboard as well as in the bow. Shelf aft to starboard. Hanging locker aft to starboard. 2 fans. FORWARD HEAD: Located on the port side and aft of the forward cabin. Jabsco electric head with 70 liter holding tank. White gel coated fiberglass unit to half height and teak above. Sink with hot and cold pressure water. Telephone type shower. Teak floor grate. Lockers outboard with mirrors on doors. Fan. 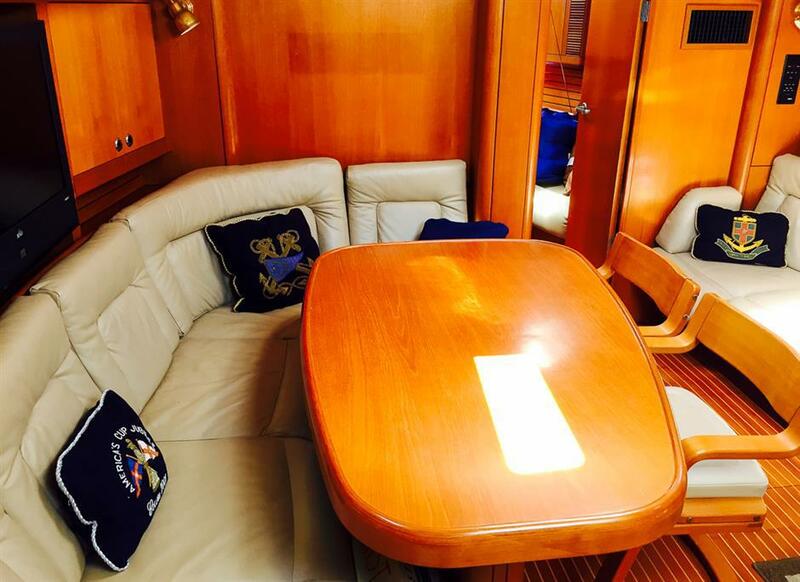 MAIN SALOON: L­ shaped settee and dining table to port and straight settee to starboard. Wine bottle and glassware storage in the table base. 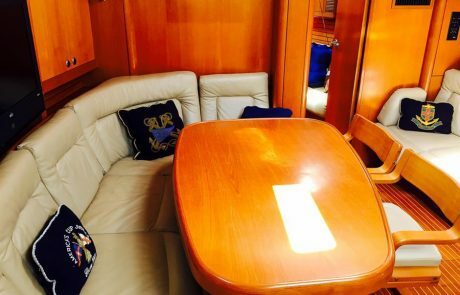 Two single chairs starboard side of table. Tan leather upholstery. Curtains. Lockers and shelving outboard each side. 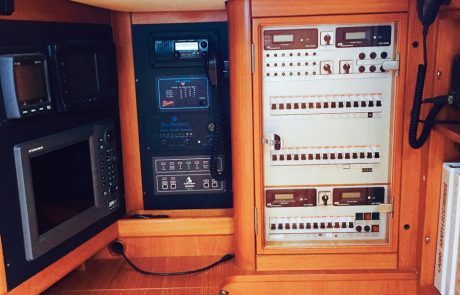 Rumsco flat screen TV outboard portside. 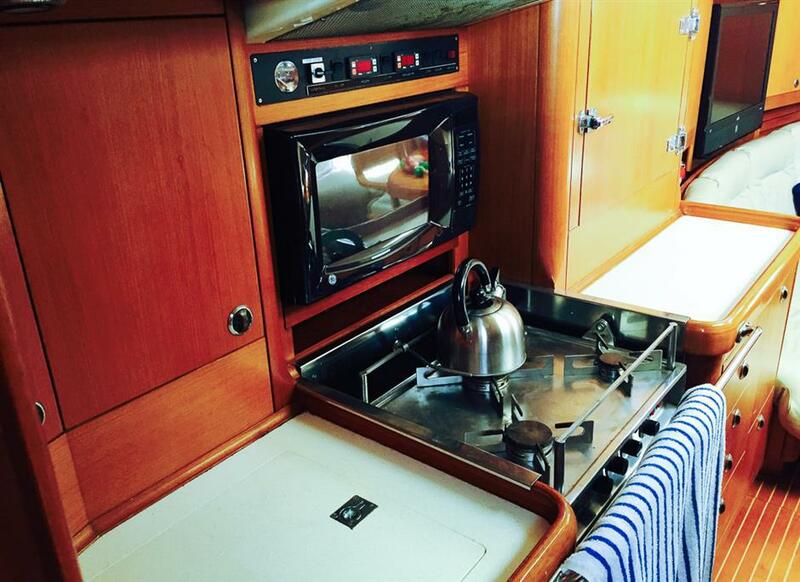 NAVIGATION STATION: Located aft of the saloon and on the starboard side. Forward facing. 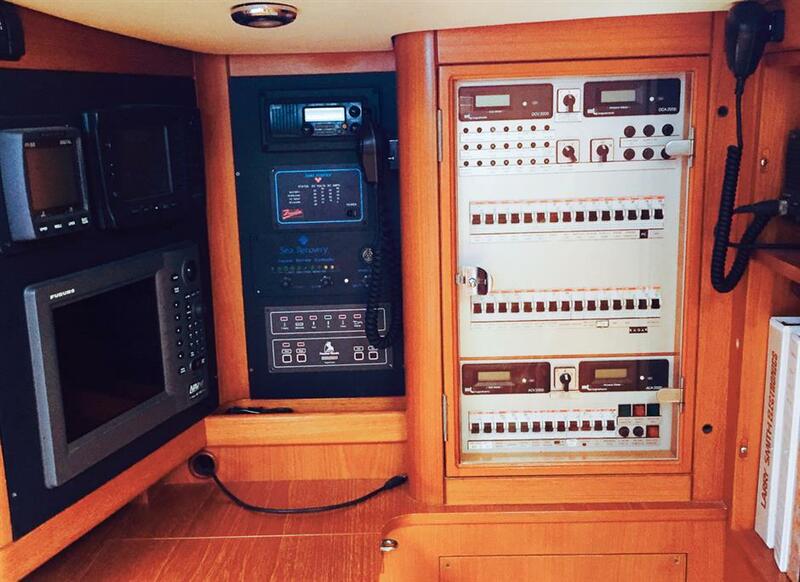 Surrounded by navigation and communication electronics as well as the AC and DC electrical panel. 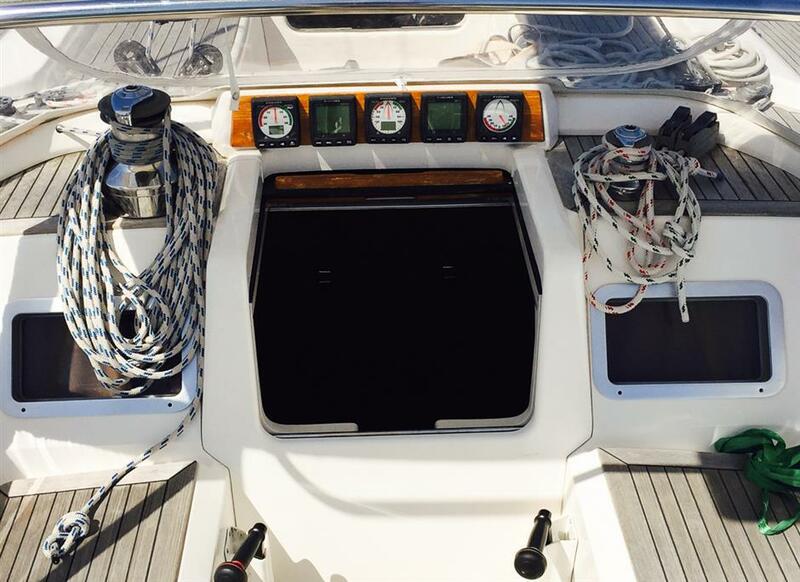 Access the the back side of the washer/dryer and genset behind nav station seat. 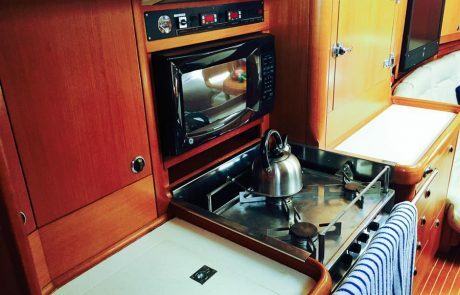 GALLEY: Located in the walk way to the aft cabin on the portside and aft of the main saloon. 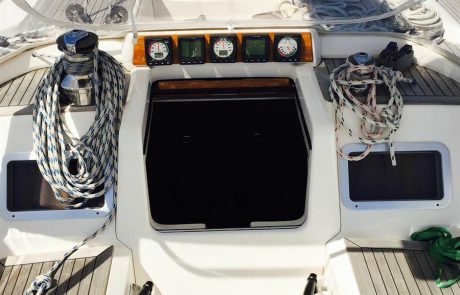 Double stainless steel sinks inboard and close to the centerline of the boat.